Bilateral collar bone fractures. Labelled artwork and corresponding X-ray of non-union fractures of the right and left collar bones (clavicles). This is an anterior (frontal) view. 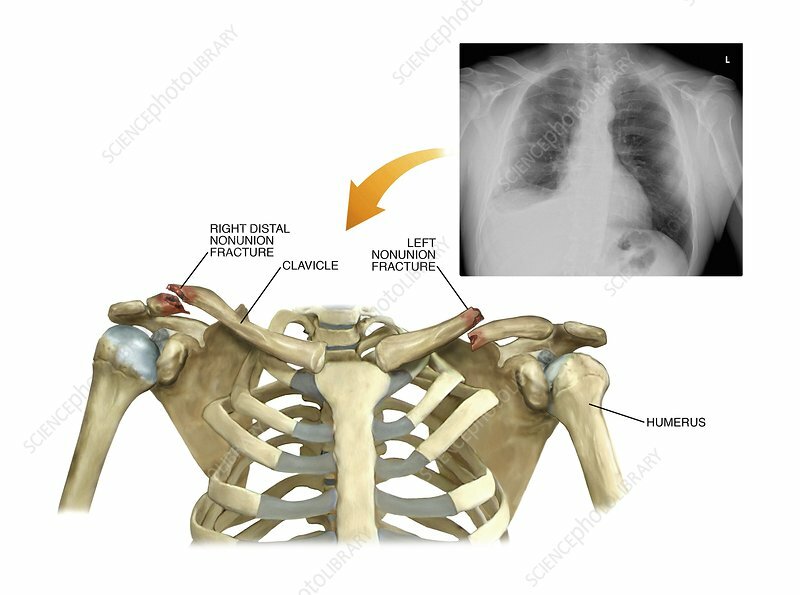 The fracture at centre left is in the distal region of the clavicle.